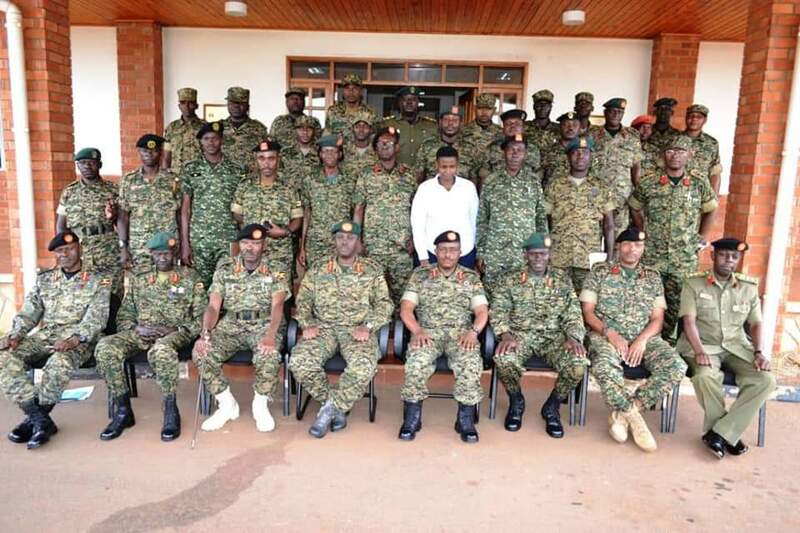 CDF, Gen David Muhoozi with Lt Gen Lakara, Lt Gen Musanyufu, Maj Gen Lokech and other army officers in Jinja. 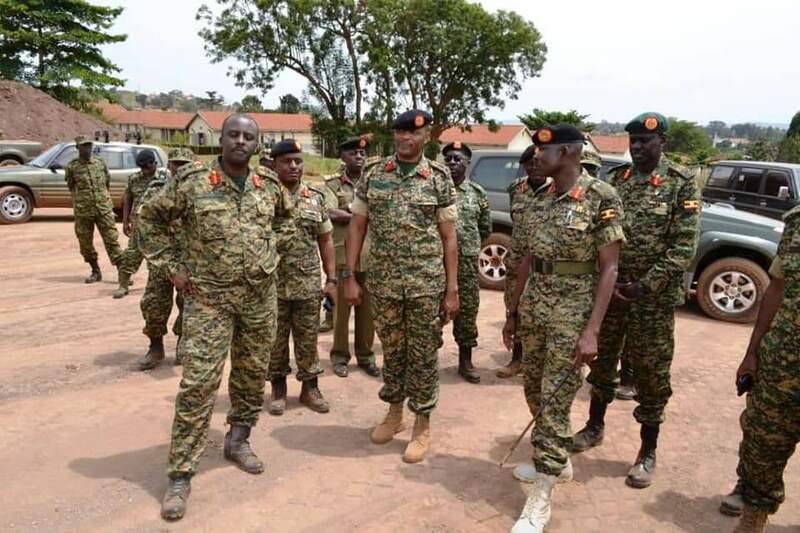 The Chief of Defence Forces (CDF) Gen David Muhoozi has lauded Lt Gen Nakibus Lakara for building capacity at the Uganda Rapid Deployment Capacity Centre (URDCC) in terms of resources, infrastructure, personnel and training during his two years of service as Commandant of the centre. The CDF commended Lt Gen Lakara while officiating at the hand over and take over ceremony between the out-going Commandant of URDCC and the new one. 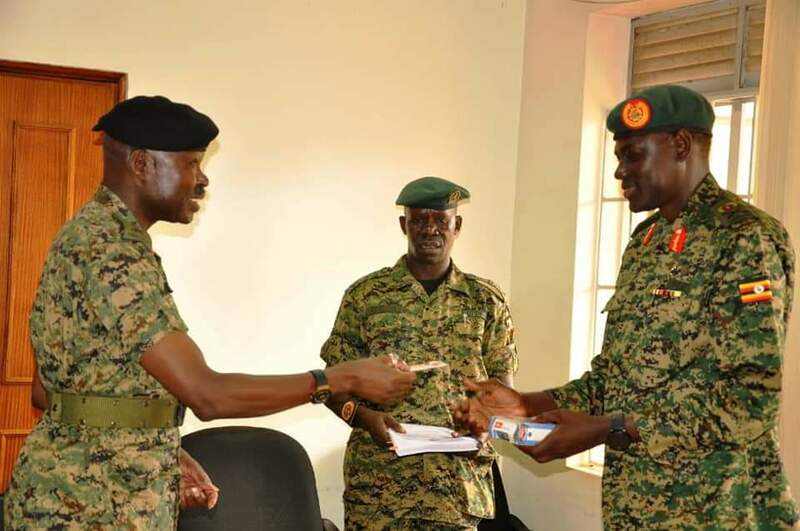 During the event held at the Jinja Gadaffi barracks, Lakara who has been the Commandant of the Uganda Rapid Deployment Capacity Centre handed over to his successor, Maj Gen Paul Lokech. “Gen Lakara has achieved a good environment at URDCC for the new Commandant,” said Gen Muhozi. 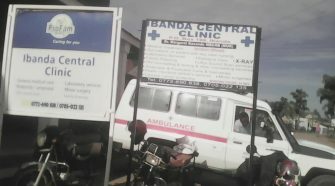 URDCC is an active centre now, that portrays the image of UPDF, he said. 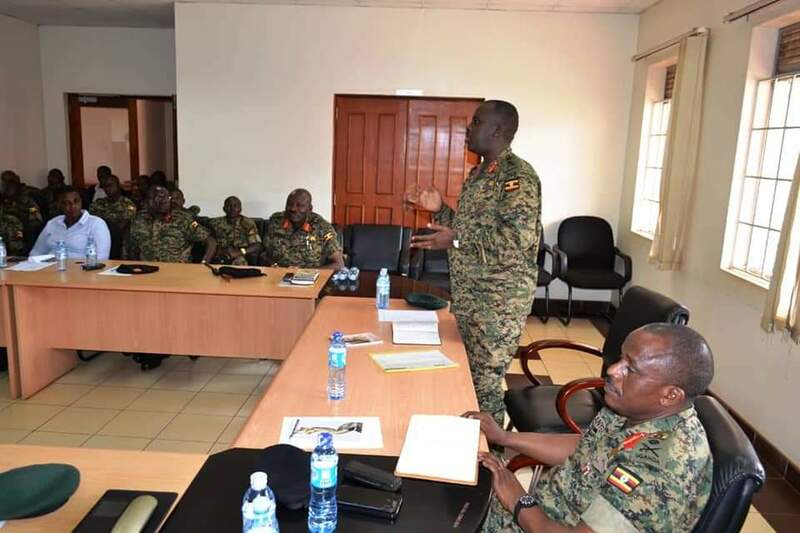 The CDF said he was impressed by the way Lt Gen Lakara handled diplomatic partners at URDCC such as the UK government and US government without any hitches. This resulted into the donation of equipment to URDCC like the Communication House by the US government, computers by the UK government and other strategic assets. 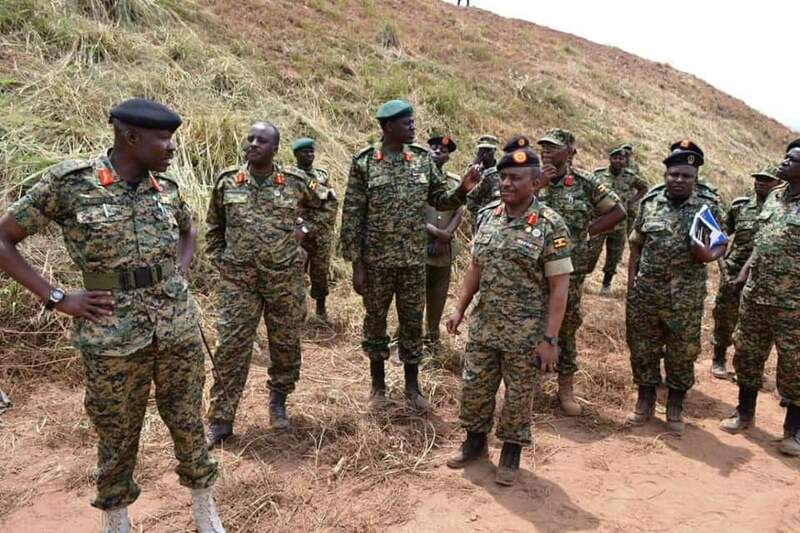 “URDCC is now a competitive area due to the outstanding performance of Lt Gen Lakara,” Gen Muhoozi added. He pledged competencie that can match UN Standards and thus the need for intergrated capabilities like Medical, Airforce, Engineers and Legal services. 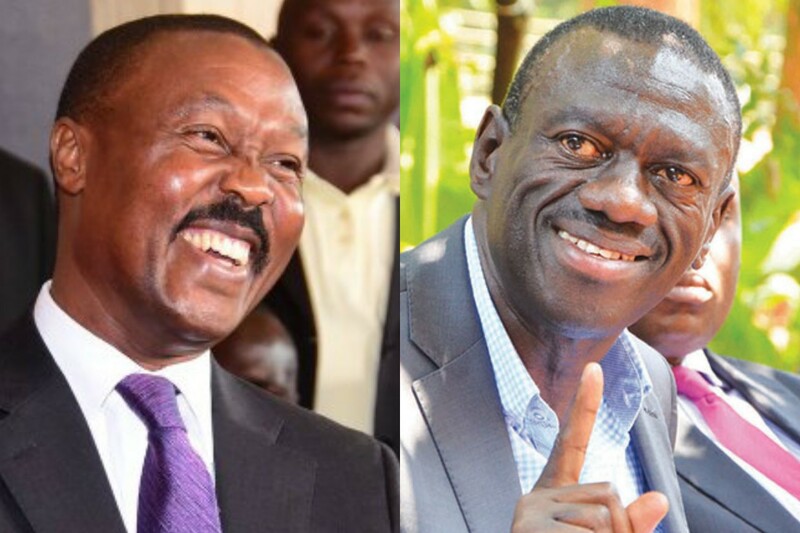 Gen Muhoozi said that URDCC was started in the complex of developing African Peace Keeping Forces such as East African Stand by Force (EASF), AMISOM, IGAD , ECOWAS, among others. 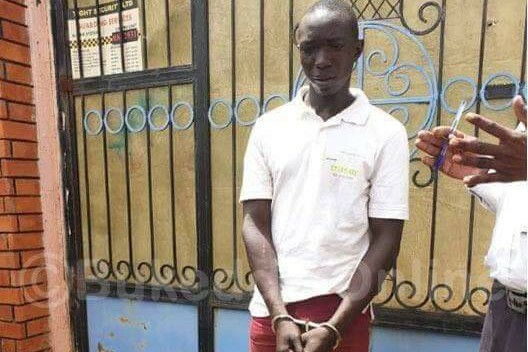 It was a joint effort between the Uganda government and the UK government. 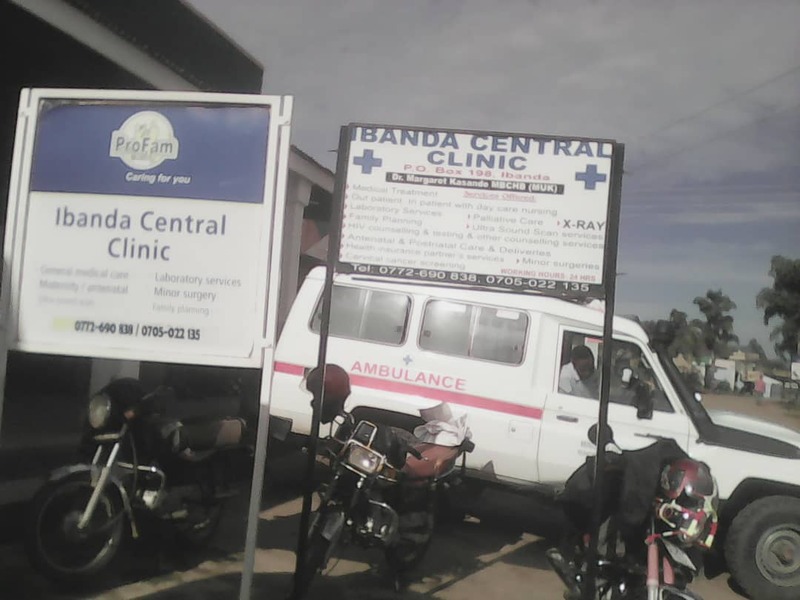 It is operating in a spaced way of Jinja and Singo; Jinja is a planning centre while Singo is a training ground. In his report, Lt Gen Lakara informed the CDF and other witnesses to the handover, that they have conducted various Chemical and Biological trainings, Engineering, Peace Support Operations, Military Information Support Operations and medical at URDCC and conducted various trainings overseas like Command Post Exercise Justified Accord 2, hazardarous material handling and Coperative training among others. 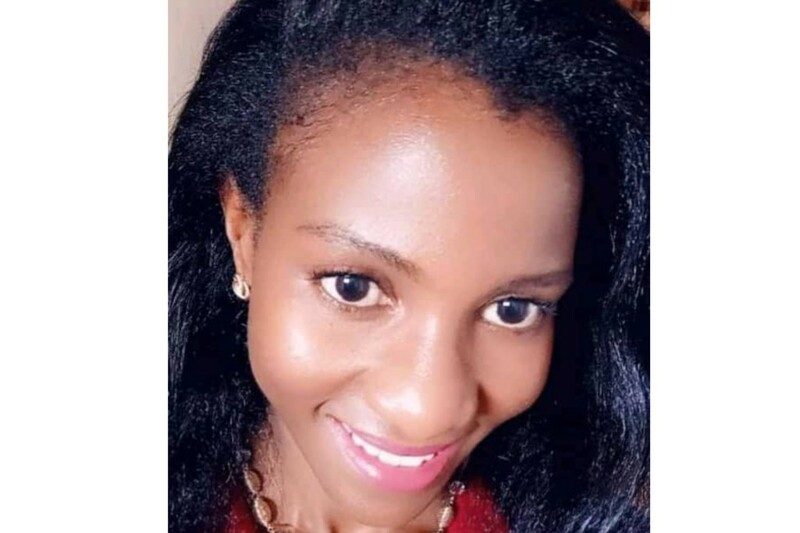 The ceremony was attended by the Joint Chief of Staff Lt Gen Joseph Musanyufu, the Jinja Cantonment Comander Maj General John Lorot, all staff officers of URDC, among others.